Seattle has a long history with Tiki culture, going back to 1940 when the first franchised Trader Vic’s location opened here. 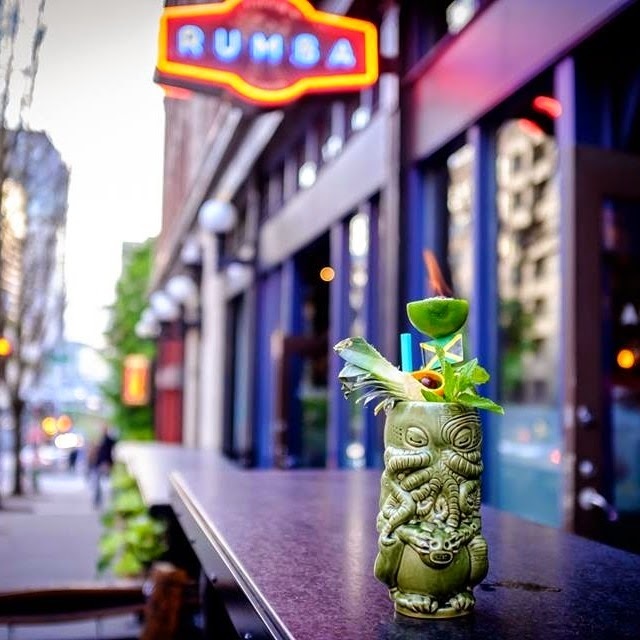 Although Seattle recently went through a relatively Tiki-free phase these past few years, the opportunities for great Tiki in Seattle have skyrocketed recently. 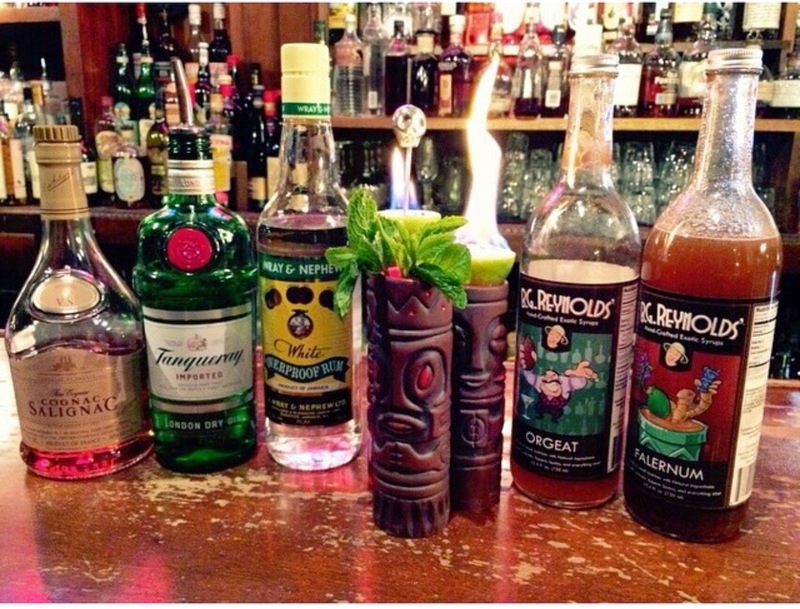 Local bars such as Rumba, Rob Roy, and Pennyroyal are offering Tiki Nights during the week. 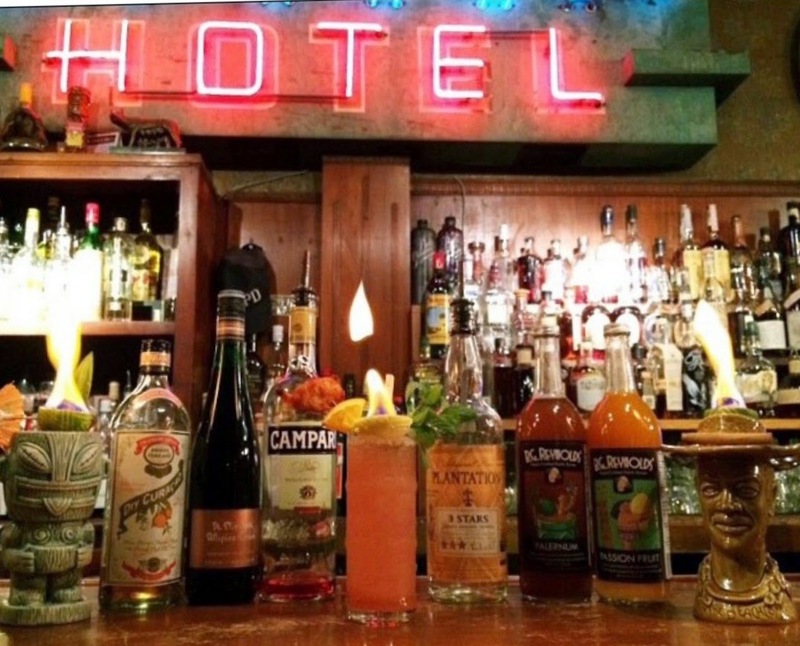 Hard-core Tiki requires a dedicated space for things like extensive rum collections and specialty mugs, so it’s great to see a new local restaurant, Hotel Albatross in Ballard, take the plunge with Tiki on the menu every night of the week. To find themselves invited to be one of the three Iron TikiTender contestants, bartenders must craft a unique Tiki recipe of their own devising and submit it to Blair Reynolds, TikiKon founder and organizer. (In his spare time, Blair is also the owner of BG ReynoldsSyrups and Hale Pele, a renowned Portland Tiki bar.) Blair’s laborious job is to wade through all the entry recipes and choose the best. 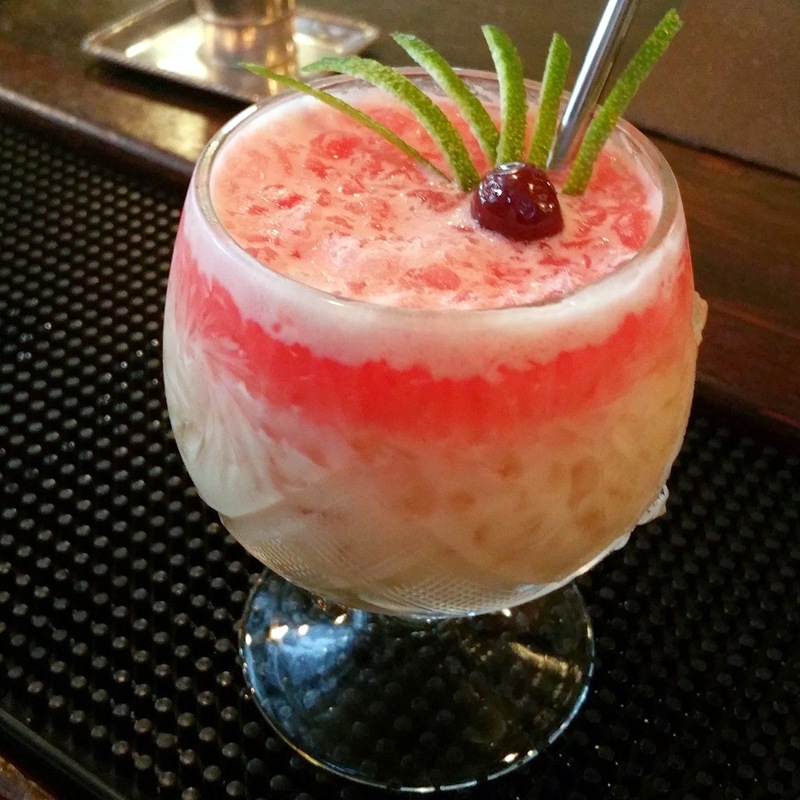 This year, at least three of my Seattle bartender friends submitted entries, and they’ve graciously shared their recipes with me to include here. Shake with crushed ice, pour into a Tiki mug, top with more crushed ice. Garnish with mint, bitters, and fire! While some bars will devote a single night of the week to Tiki, any night that Justin Wojslaw of the Diller Room is behind the stick is a Tiki night. The Diller room doesn’t have any Tiki trappings, so I thoroughly enjoy showing up, ordering whatever Justin happens to be working on at the moment, and watching the other patrons’ jaws drop as he crafts an expertly crafted, flaming mug of Tiki goodness. Justin says the Madam Pele is a spin on the classic Fogcutter. Shake with ice cubes, pour into 14 oz glass or Tiki mug. Float orgeat and dry curacao. Top with crushed ice. Garnish with flaming lime pot and mint sprig. Float 0.25 oz of Peychaud’s bitters. I can report firsthand that both Ryan and Justin’s entries are quite tasty and enjoyable. I’ve yet to make it to Canon for a Spider-Tailed Viper, but plan to do so soon – it certainly looks delicious. If these recipes (as well as other Iron TikiTender submissions) intrigue you, be sure to check out the #irontikitender tagged photos on Instagram.